A Mysterious young woman is connected to several murder crime scenes. Upon investigation things get very supernatural in this Japanese thriller. Laplace’s Witch is directed by Takashi Miike and was released on May 4th, 2018. 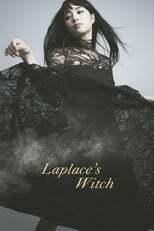 Director Takashi Miike's Thriller & Drama movie Laplace’s Witch & was released 2018-05-04.